Ello and good evening to you all! Today is mothers day and it was a fantastic one at that. I was in charge of the grilling and tending the fire. 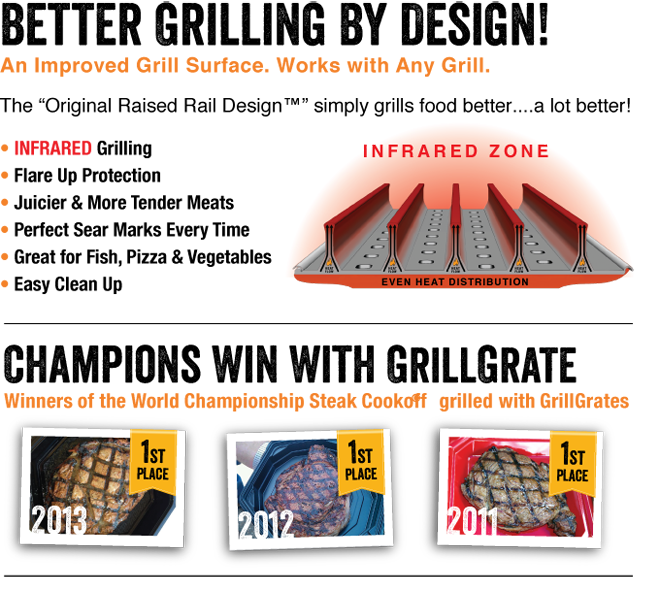 i like to use an awesome product called Grill Grates which is a awesome awesome AWESOME product. Basically, what it does is turns your charcoal or gas grill into a KING OF GRILLS. They are grates that are flat with raised rails about an inch off the flat metal. 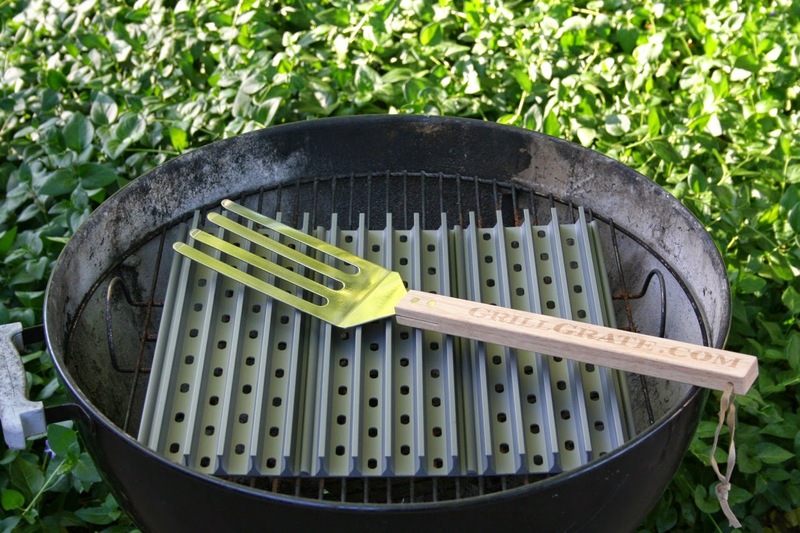 You place them over the fire and they heat up monster hot and add amazing grill marks to your food. Now you are probably wondering why I just do not use the standard cooking grate, well i do. 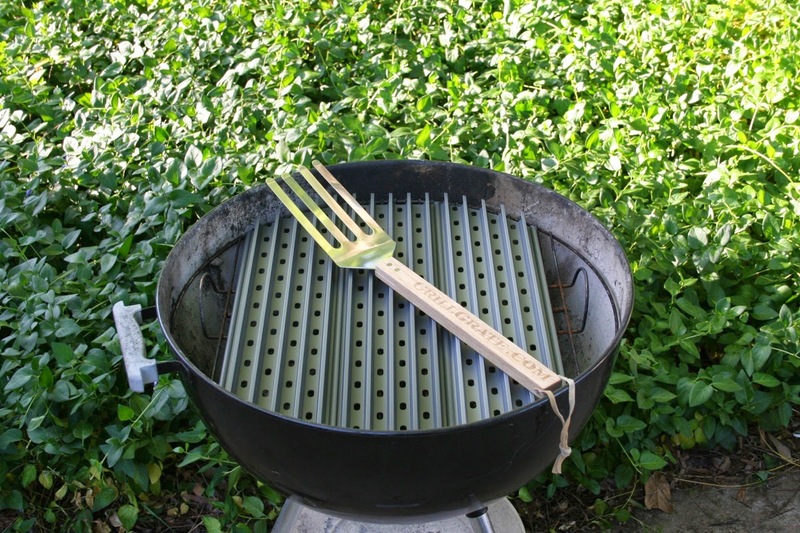 But at times i need the limit the charcoal flavor on more delicate foods so i use the grill grates. One of those foods is burgers. I like to taste the beef not the smoke. haha. Anyway, when they are monster hot, the heat gets traped between the raised sections of beams and creates hot hot hot cooking temps. So why am i telling you this? because one thing companies will do to fool you into buying there grill is to say that infrared heat is the very best and it cant be beat. They will charge you an arm and a leg, but in reality, all they are doing is taking a gas grill, covering the flame with thin rigid metal and sell it to you. Infrared grilling is nothing special, its just indirect heat. Your oven at home is infrared! It is just radiant heat circulating by means of air to cook the food. As soon as the main heat source is covered with an object, its infrared heat. Cooking in a frying pan... infrared heat, boiling water or soup... infrared heat. The reason i like this product so much is because it actually works and i can use them whenever i want to. Tonight i grilled my burgers on it because ti cooks them fast and less smoke from vaporizing fat gets on them. Hey, some people like that flavor, actually most due, and that is totally cool. Oh and for my disclaimer, i am not endorsing their product and i do not work for them. I just love there product! Ok, so next thing to discuss..... No knead bread! Its a love hate relationship. But once you understand it, it pure love and bliss. So what is no knead bread? Its a high moister content dough that has 4 ingredients, Water, Salt, Yeast, and Flour. You mix all the stuff together and you get a wet sticky dough! Then all you do is let it double or tripple in size, shape, and bake it. The key to the no knead method is to let nature do its thing. See, kneading creates a structure that we call glutien. These are the strands of proteins that are found in wheat. They are the main building blocks of the berry. When water is mixed with ground flour, it becomes a moist environment which happenes to be yeasts favorite place to hang out. 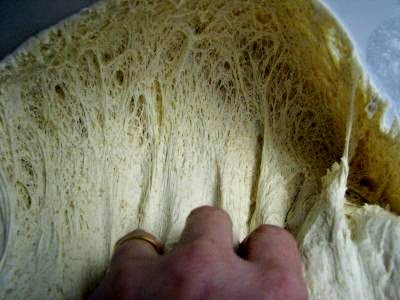 Yeast is all over in our air and floats around until it finds a place to sit and eat for a while!. Once yeast starts to come into the picture, they start to eat all the natural sugars in the mixture, when this happens, yeast will pee out alcohol and fart c02. Sorry for the graphic imagery but its true! Other live active cultures floating in the air join the party. They help break down what we call the anti-nutrients which i like a protective shell for the wheat berry. It is hard for humans and animals to digest this shell sorta speak This process is know as sprouting the bread. Anyway, all this activity yields one thing, massive amounts of building blocks known as gluten. The method i follow, i can have these threads of proteins with in 3 hours. HOWEVER, once the dough has doubled or even tripled, it must be put in the fridge to slow down the yeast from eating everything or they starve which causes a very flat loaf.